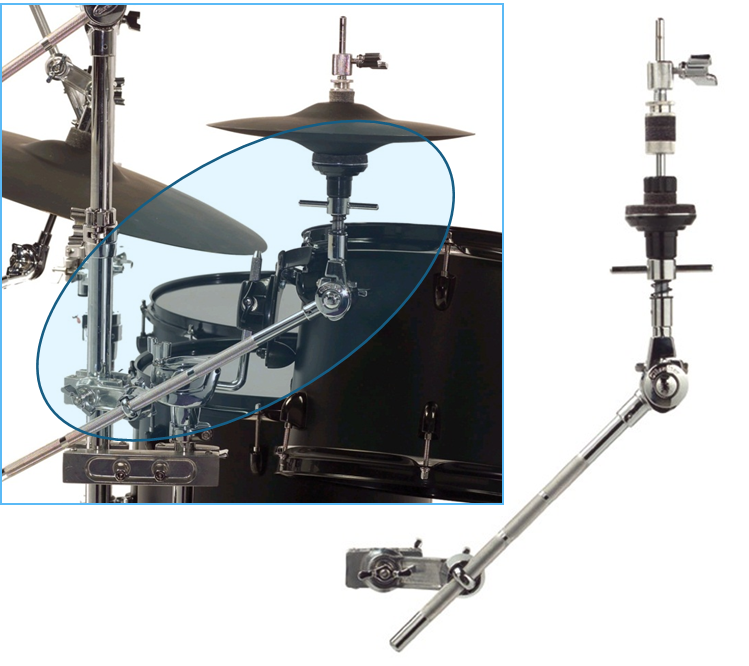 This closed X-hi hat-mounting system features “brake” style gearless adjustment for optimal positioning. The unit Includes a multi-angle stand-mounting clamp with 18-inch long 12.7mm diameter rod. Hi hat cymbal tension can be easily dialed in and the brake adjustment features a key lock system to lock in the position.